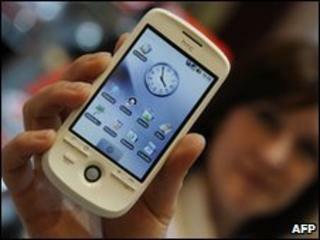 Global sales of smartphones have continued their explosive growth, increasing by 49% in the first quarter of 2010. Research from Gartner indicated that smartphone sales hit 54 million, with sales of all mobile phones rising 17%. Google's Android smartphone operating system has also outperformed Microsoft's, taking fourth place for the first time. It was the strongest quarter for annual smartphone sales since 2006. According to the market research company, the first quarter of 2010 also proved to be the strongest yet for Apple, more than doubling its iPhone sales year-on-year. Carolina Milanesi, research vice-president at Gartner, said: "Growth came partly from new communication service providers in established markets, such as the UK, and stronger sales in new markets such as China and South Korea." But sales of Research in Motion's Blackberry also improved, with the firm taking the fourth place in manufacturer rankings for the first time, on a sales increase of 46%. In the battle for operating systems, Google's Android platform performed well in North American markets, with sales of Android-based phones there increasing 707%. And Nokia's Symbian OS stays in the global number one spot, but with overall market share declining from 49 to 44% between 2009 and 2010. Will smartphones see off sat-nav?